Arlington VA is one of the many cities our tree service company works in. The Department of Defense, the Drug Enforcement Administration, and the Defense Advanced Research Projects Agency all call Arlington VA home. These agencies, as well as service industries, museums, and memorials keep this small county in one of the highest income brackets in the nation. RTEC Treecare has done lots of commercial and residential tree care work in the area. Since it’s establishment in 1996 our certified arborists have served Arlington VA. Because of our experience, quality, and knowledge, our clients trust our certified arborists to advise them on the best options for their trees. A few of the Arlington tree care services we offer include 24 Hour Emergency Tree Service, Insect & Disease Treatment, Tree Removal, and Tree Pruning. 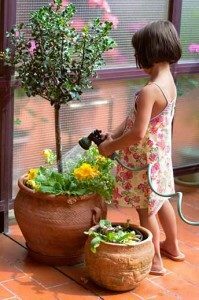 Root Care & Soil Managment. 24/7 Emergency Tree Removal Service. Learn about Tree Trimming in Arlington Va. 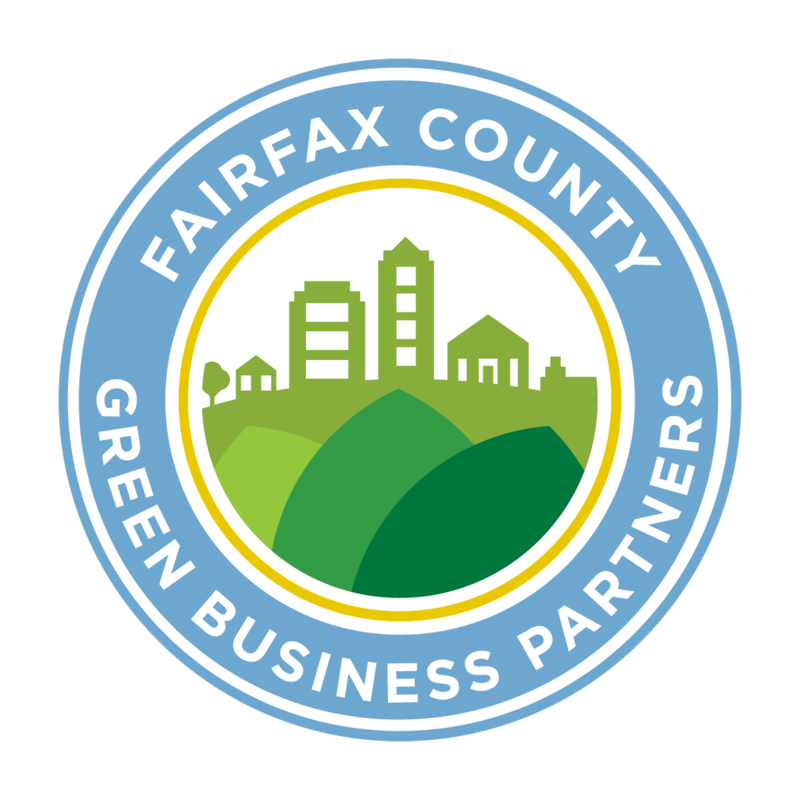 Learn about Arlington Tree Removal. RTEC Treecare is accredited by the Tree Care Industry Association. 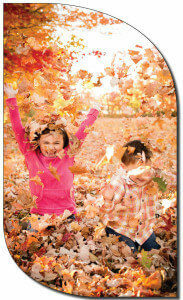 In fact, we were the first accredited company in Virginia. Accreditation is a difficult and comprehensive credential obtained through the Tree Care Industry Association. Accreditation ensures that a tree service company is fully licensed in the states they work in, insured, adheres to the safety policies required by OSHA and the industry, and operates as a professional and trustworthy tree service company. RTEC is fully licensed and insured in Virginia, Maryland, and DC. We adhere to all safety policies, have weekly safety meetings, and encourage our team members to create and institute improved safety policies. We operate as a professional and trustworthy company and have won multiple small business awards from the Department of Homeland Security, and 12 excellence in arboriculture awards from the tree care industry association. 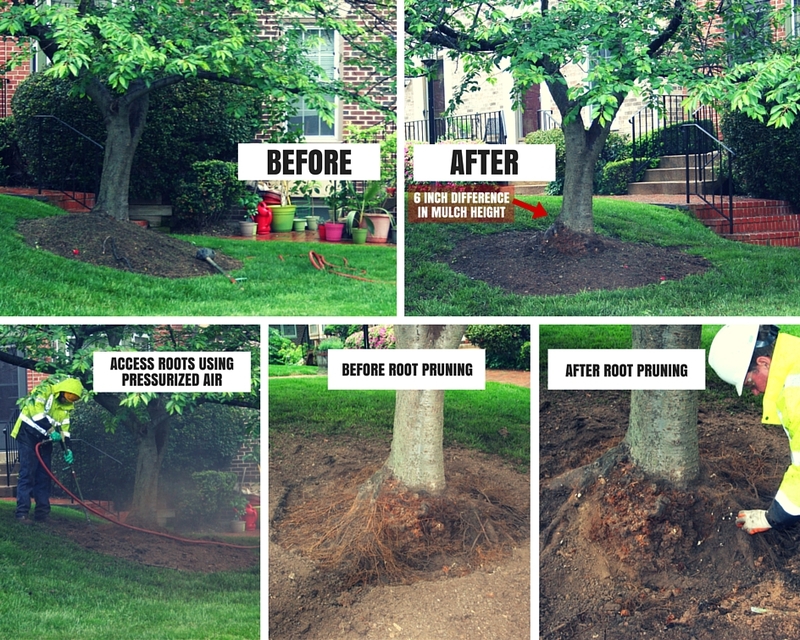 Recently we performed a tree service job at an HOA in Arlington, Va. When our Arborist went to inspect the cherry trees on the property, he noticed they were suffering from years of mulch volcanoes. Mulch volcanoes occur when mulch is piled up at the base of a tree. Because of this, trees start to have numerous issues. Because we caught the problem early, the trees had not yet started to show symptoms from the mulch volcanoes. But if the problem was not dealt with, the trees could begin to show signs of stress. In this case signs of stress would include, insect and disease issues, bark discoloration, choked roots, root rot, and rodent issues. To see what we were dealing with and fix the problem our Arborists had to perform a root collar excavation and root pruning. Check out the video. First, we performed a Root Collar Excavation using pressurized air to expose the roots for inspection. This process exposed the roots without hurting the tree. Once the root system was visible it was obvious that the excess mulch had caused roots to grow from the main trunk and around dominate roots. We also noticed discoloration on the trunk from mulch irritation and excess moisture. To fix the problem and keep health issues from occurring we hand pruned the roots. By removing the problematic roots we returned the root structure to a healthy state. This will allow the root system to grow properly and thrive in the future. Lastly, we properly re-mulched the tree. You can see by the dirt lines on the trunk how high the mulch used to be. Notice that our proper mulching is much lower and does not pile up against the trunk of the tree. GUARANTEED WORK For Tree Service Arlington Va.
QUALITY SERVICE For Tree Service Arlington Va.
CARING PEOPLE For Tree Service Arlington Va.
We are active members of the community and have participated in community events such as Arbor Day and Earth Day. We have been recognized with awards from the Tree Care Industry Association, Department of Homeland Securities, and Angie’s List for our excellent services. We encourage our team members to participate and be involved with the community and our industry.